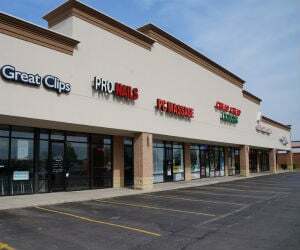 Commercial Property Insurance in KY. You may be a Landlord owning properties for income and investment purposes, you're renting shops or offices out, or are running a business venture and make a living from commercial property. In such cases, it is vital to take all of the necessary measures to ensure that your properties is protected. That means making sure that you've the right level of insurance policy to cover your property investment against unforeseen events such as a major storm, flood, or fire. Commercial property insurance in KY protects your property from lawsuits with rates as low as $37/mo. Get a fast quote and your certificate of insurance now. What Is KY Commercial Property Insurance? A Commercial property insurance in KY policy covers landlords who let to third-party businesses. This plan covers different risks to residential property insurance as commercial buildings, like shops, are often built in a different way to domestic ones. They also tend to get more visitors, thereby requiring specific protection. Commercial Property plan provides protection for physical assets like buildings and their contents, inventory and equipment, property in-transit, as well as loss of income, business interruption coverage, business property owners' liability and employers liability. This insurance policy helps businesses, including ranches and farms, pay to repair or replace property damaged by a storm, fire, or other event covered by the plan. It also pays for replacement of stolen or lost property. A complete Commercial Property Insurance in KY policy is one of the smartest investments one can make in their business. Also known as business property insurance or commercial landlord insurance, it protects costly, physical assets of a company such as the building, as well as its contents and any outdoor fixtures like signs and fencing. Savvy business owners understand that a severe windstorm or fire can shut down a company for an extended period of time, and this often leads to a permanent closure. However, with a comprehensive commercial properties insurance plan, you have got support and financial assistance to assist you recover quickly. A Kentucky business property insurance policy can help protect your company from anything from a minor hiccup in business operation to a major financial loss. Whether one owns the building, lease their workspace or works at home, commercial property insurance protects the business' physical assets. 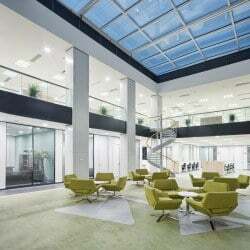 Commercial property insurance plans may vary from policy to policy, but they are categorized essentially by the type of event that leads to a loss, and by what is insured specifically. Basic property insurance typically covers losses caused by explosions or fires, theft, damage from airplanes or vehicles or even acts of vandalism. Additional insurance coverage can be added for breakage of glass and earthquakes. The essential items to be insured in a business property insurance policy include your building, inventory, office equipment, and outdoor items on the premises. One can buy a single Commercial property insurance in KY plan to cover a business venture with more than one location, unless those locations have different functions & risk profiles. For instance, you might have a factory at one location and an administrative office at another. In case your business has operations at several locations, ask your insurance agent if you need separate plans. Request a free Commercial Property Insurance in KY quote in Alexandria, Ashland, Barbourville, Bardstown, Beaver Dam, Bellevue, Benton, Berea, Bowling Green, Brandenburg, Cadiz, Calvert, Campbellsville, Carrollton, Central, Cold Spring, Columbia, Corbin, Covington, Crescent Springs, Crestview Hills, Crestwood, Crittenden, Cynthiana, Danville, Dawson Springs, Dayton, Douglass Hills, Eddyville, Edgewood, Elizabethtown, Elsmere, Eminence, Erlanger, Flatwoods, Flemingsburg, Florence, Fort Mitchell, Fort Thomas, Fort Wright, Frankfort, Franklin, Georgetown, Glasgow, Graymoor-Devondale, Grayson, Greenville, Harrodsburg, Hartford, Hazard, Henderson, Highland Heights, Hillview, Hodgenville, Hopkinsville, Hurstbourne, Independence, Indian Hills, Irvine, Jeffersontown, La Grange, Lakeside Park, Lancaster, Lawrenceburg, Lebanon, Leitchfield, Lexington-Fayette, London, Louisville, Ludlow, Lyndon, Madisonville, Marion, Mayfield, Maysville, Middlesborough, Middletown, Monticello, Morehead, Morganfield, Mount Sterling, Mount Washington, Murray, Newport, Nicholasville, Oak Grove, Owensboro, Paducah, Paintsville, Paris, Park Hills, Pikeville, Prestonsburg, Princeton, Prospect, Providence, Radcliff, Richmond, Russell, Russellville, Scottsville, Shelbyville, Shepherdsville, Shively, Simpsonville, Somerset, Southgate, Springfield, St. Matthews, Stanford, Stanton, Taylor Mill, Union, Versailles, Villa Hills, Vine Grove, Walton, West Liberty, Wilder, Williamsburg, Williamstown, Wilmore, Winchester and all other cities in KY - The Bluegrass State.